Why Is God’s City Called “Mount Zion”? Have you ever wondered why God’s city is called “mount Zion”? The only language that God made directly was the old Chaldean tongue to which the Hebrew is the closest version. The letters of the Hebrew alphabet are also numerals, so that Aleph would be number one; Beth, number two; Gimel, number three, etc. The seventh letter is Zain and the numerical value is seven. This letter in its spiritual meaning is the perfection of God. Throughout the Bible, God speaks of “Zion” as an elect people, through whom He will manifest His glory in the earth at the end of time. This is referring to the same people who Paul calls the “firstfruits” in I Corinthians 15:23, and who John, in the Spirit, refers to in Revelation 14:1-5. These people are ordained of God never to fail. “And I looked, and, lo, a Lamb stood on the mount Sion, and with him an hundred forty and four thousand, having his Father’s name written in their foreheads. And I heard a voice from heaven, as the voice of many waters, and as the voice of a great thunder: and I heard the voice of harpers harping with their harps: And they sung as it were a new song before the throne, and before the four beasts, and the elders: and no man could learn that song but the hundred and forty and four thousand, which were redeemed from the earth. These are they which were not defiled with women; for they are virgins. These are they which follow the Lamb whithersoever he goeth. These were redeemed from among men, being the firstfruits unto God and to the Lamb. And in their mouth was found no guile: for they are without fault before the throne of God” (Revelation 14:1-5). I like to read stories of people who never fail. Some time ago, I came across a little booklet entitled, “By Fire and by Sword.” It speaks of a great fighter who was in the army of Napoleon. When Napoleon and his army were finally beaten, this man went home to his little lodge a broken man. He had one son and he began to train this boy to use the sword. He was schooled and strengthened until he became a superb swordsman. As an old experienced soldier, he knew that there was no man in France who could handle a sword better than this young man whom he had trained. At that time, France was like the Wild West, but instead of the gun, men were using the sword. The day came when he packed up the boy’s things, saddled up his horse, and sent him forth. All along, he knew that the boy was going to be passing through enemy territory, and that surely the great swordsmen of that place were going to attack him. They acted true to form and challenged the young swordsman. The young stranger made short work of all his opponents that day. It did not take long for all of France to hear of him. Eventually, he became the friend of the King, and the story goes that he was never beaten, even when the odds were ten to one. God has a Zion company, an elect army that will never be defeated! All these prophetic utterances from the Old Testament are referring to a people who will find their fulfillment in Christ. A little people (like Gideon’s 300) who will be the overcomers, conquering death as Jesus Christ Himself did, and who will be the firstfruits unto God. Thought for today: Do you want to be part of God’s Zion company? If yes, then count your cost and set on a journey that leaves no place to the world and the flesh but presses you to take up your cross and follow Him Who has gone before you. The concerted prayer of the people of God and the cry of the people of God is coming from the whole earth and is coming up before God. God has ordained a special angel to present this. Let me show you exactly what happens to the prayers of the saints. God is Himself causing us to pray the right prayer. The Holy Spirit within us is groaning and causing us to groan and pray the right prayer to God so that the kingdom of God might come in the realm of earth even as it is in heaven. Revelation 8:3b, “And there was given unto him much incense, that he should offer it with the prayers of all saints…” What is the meaning of that? In the Tabernacle, the priest offers the incense at the Golden Altar. THE INCENSE IS A TYPE OF THE SOUL OF MAN. He was offering his soul and the souls of the people for the sins of the people and his own sins. Thought for today: Remember, God Himself is causing us to make right prayers through the groanings of the Holy Spirit within us. “But, whom say ye that I am?” was the question that Jesus Christ asked the brethren, the apostles in Matthew 16. They told Him what the people were saying. “They say that You are John the Baptist, or that You are Elias, or that You are Jeremiah.” What does that tell you? That tells you that the doctrine the people had was a false doctrine, because they believed in reincarnation. If you are telling me that John the Baptist, or Elias, or any other Christian who has passed on is returning to this life in another body, then you believe in reincarnation. Right away, Jesus and the brethren saw through it, that these people were all wrong. They were not recognizing Jesus Christ – Jesus, the Messiah. They were not recognizing Him as God in human flesh. 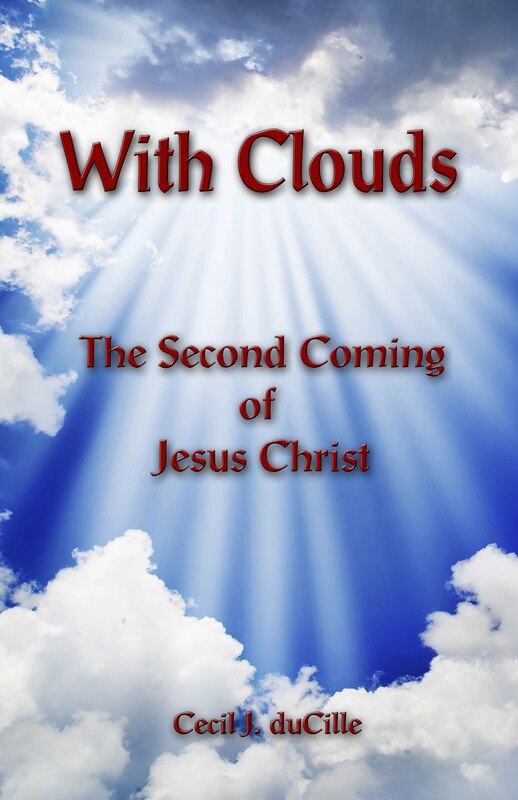 God said that He will appear again; but they are not really believing it now either! They are not believing that you have Jesus in you. Now, do you believe it? If you do not believe you have Jesus in you, you are in trouble. The people saw a man. They saw a flesh and bone blood man standing before them. “Who do you think I am?” Jesus asked. You know, God called me. God sent me. God spoke to me personally and I never doubted who I was from that time until this. I never doubted who I am. So, God allowed various men to come against me. He allowed various organizations to come against me. He allowed all kinds of satanic forces to come against me, but it never fazed me. I think God laughs at people who see color and all that sort of things, because we should know that God does not have a color. I understand He does not have a skin. Your color is in your skin, and if He does not have any skin, He cannot have a color. The carnal man will always think of a carnal God to satisfy his own carnal nature. Let us try to think of God. We asked God to come and flow through us like a river. If God was a man, He could not flow through us like a river. He could not fill us, fill the whole earth, and fill the people in their various lands at the same time, and fill the whole universe! He could not do that. He would be restricted. I want you to know that God is seeking a people at this time, and He wants volunteers. You are only going to fit the type for God to use if you can volunteer; and when you volunteer you have to volunteer everything – everything you have, everything you own, everything you are, and everything you ever hoped to be. That is what He wants! That is what will qualify you to be part of the Firstfruits company! That will qualify you to stand with Jesus on mount Zion! That will qualify you to receive the name (or nature) called “144,000” (Revelation 14:1). Thought for today: Who do you say Jesus is? When you are able to answer this question, consider honestly before the Lord whether you have volunteered everything to God in order to qualify to be part of the Firstfuits company.